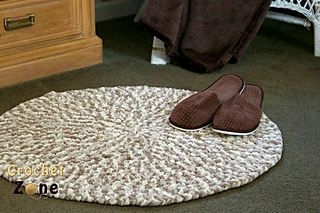 This is a very quick and easy rug that is perfect as a bath mat or little bedside mat. 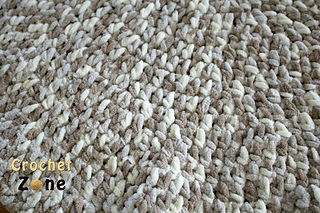 It works up so fast in this super bulky yarn you will be amazed! Make it as large as you like by adding rows.